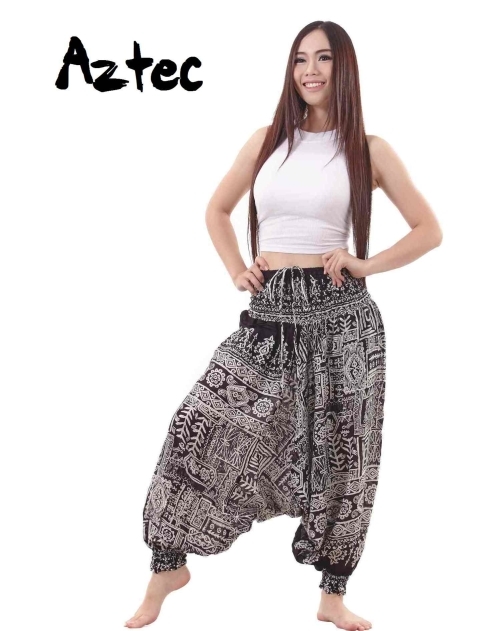 Light and beautiful Aztec harem pants. 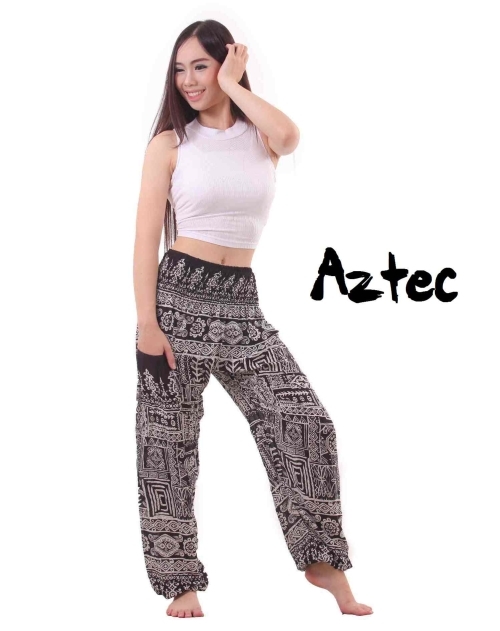 Extremely comfy without compromising style. 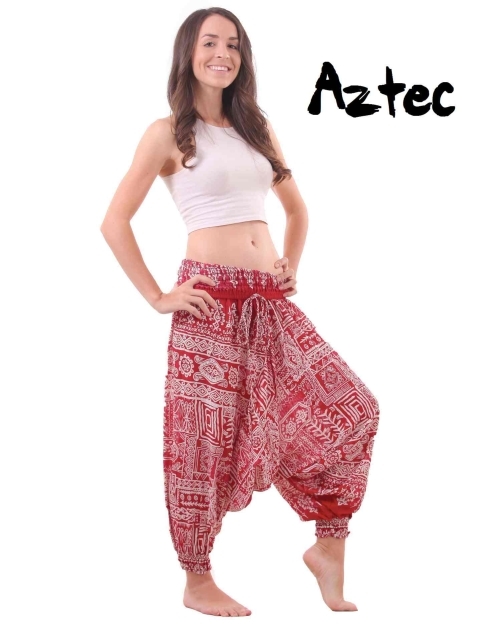 These pants are inspired by tribal art and history. 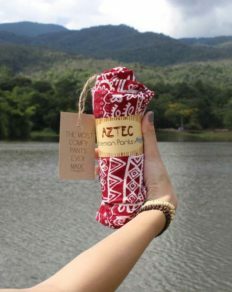 In harmony with nature and primitive art, they are real artifacts!